Anyone have an older model crux they want to get rid of? The one that was plain metal not black anodized. I need the older one because of the straight pot supports. Thanks guys. Been looking for a while and nada. I just picked up a similar Markill stove with storage bag for a friend for about $6. What is it about the Crux that makes it your stove of choice? 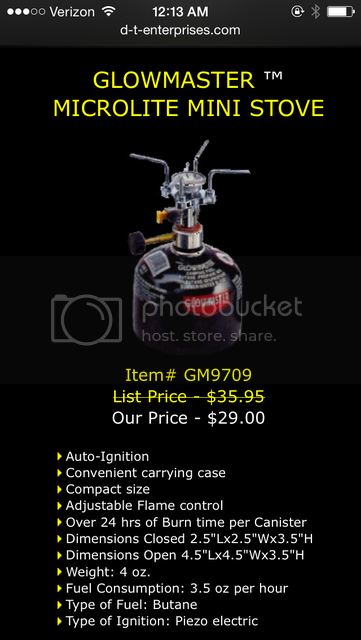 It just fits nicely under a fuel can and I like the wider burner head, I do actual cooking not just boil water cooking.